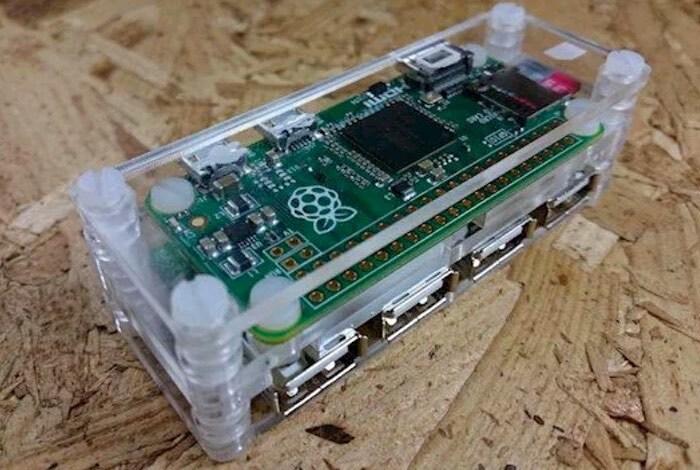 Matt Brailsford otherwise known as “Circuitbeard” Has unveiled details of a new Raspberry Pi Zero USB hub he has created which neatly and conveniently provides extra connectivity to the tiny Raspberry Pi Zero mini PC that was launched at the end of last year by the Raspberry Pi Foundation for just $5. The new compact design is based on the Frederick Vandenbosch’s design and offer a really neat way of carrying everything you need to build Zero projects in your pocket. If you were lucky enough to get your hands on one of the new Raspberry Pi Zero’s, one of the first things you are likely going to want to do is hook it up to a USB hub to add things like WiFi and a keyboard and mouse. Of course you can just connect an ordinary USB hub, but there isn’t many compact solutions available just yet. There are a few methods that have been posted online so far, from hacking an off the shelf USB hub, to manufacturing a custom hub yourself. These are all great, but are either a little unpolished or require some advanced maker skills, so we thought we’d have a go ourselves at something that is a but more approachable by the average maker, and uses predominantly off the shelf parts. So here is what we came up with. For full instructions on how to create your very own Raspberry Pi Zero USB hub jump over to the Circuitbeard website via the link below. If you found this article interesting you might also be interested in this list of awesome Raspberry Pi Zero projects we have put together.